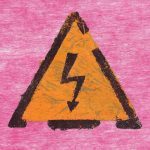 617.752.1739 info@thinkpinklaw.com We Do Law. Differently. There is a lot of misconception about the new NFA Trust Regulations (41F) that will go into effect on July 13, 2106. One common point of confusion is the deadline for which to file your NFA Trust and application to fall under current rules and be grandfathered in. Having an NFA Trust that is signed and dated before July 13, 2016 is not enough! 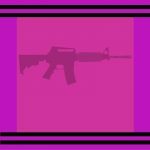 You need to submit that Trust, plus your Form 1 or Form 4, plus your payment to ATF via their online system. All of that must go to the ATF and be in submission under “pending” status before July 13, 2016 to be grandfathered. If you make an NFA Trust and you sign it dated tomorrow, and you wait until August to submit your trust and Form 1 or Form 4 and payment, you will not be grandfathered in and will be subject to falling under the new regulation. 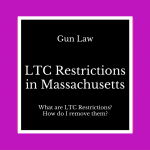 [Video] LTC Restrictions in Massachusetts – What are LTC Restrictions in MA and how can I get my restriction removed? 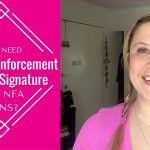 [Video] NFA Trust – Do I Need Chief Law Enforcement Signature for NFA Guns? Questions? Fill out this form to contact us, and we'll get back to you shortly.